The day that Nathalie Skippers (photo) signed up for a degree in social work, she may have inadvertently found her calling, but she had no idea then that a career spent helping others to empower themselves would fulfill her that much. “I come from Prieska in the Northern Cape. Social work was not even on my horizon and resources were very limited, but I decided that I would apply to study at Stellenbosch University. When I had to submit my application, I had to list three degree programmes I would be interested in. My first option was physiotherapy and the second was occupational therapy, but I had no idea what to list as my third. When I asked my mom what I should choose, she said, why not write down social work as your third option,” explains Nathalie. As part of her application to study physiotherapy or occupational therapy, Stellenbosch University (SU) requested that she show proof that she had done job shadowing in a medical environment. That is how she arrived in Stellenbosch, ready to enroll for her third option – a degree in social work. However, during SU’s orientation programme, she realised that it was not the university for her. Her uncle, who lives in Ceres, suggested she consider Huguenot College to pursue a degree. A few days later she registered for the Bachelor of Diaconiology in Social Work and completed it in 2002. 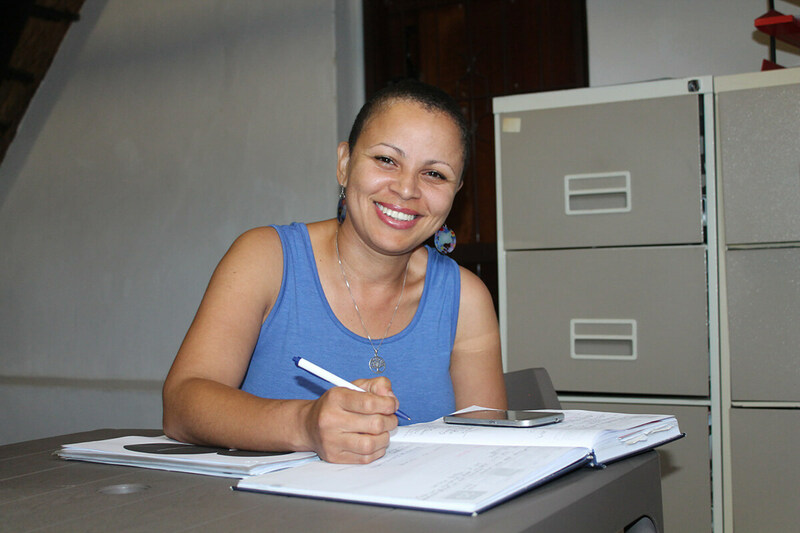 Now, a registered social worker, she entered the public sector and joined the Department of Social Development and Poverty Alleviation in the Northern Cape where she worked as both a social worker and probation officer. 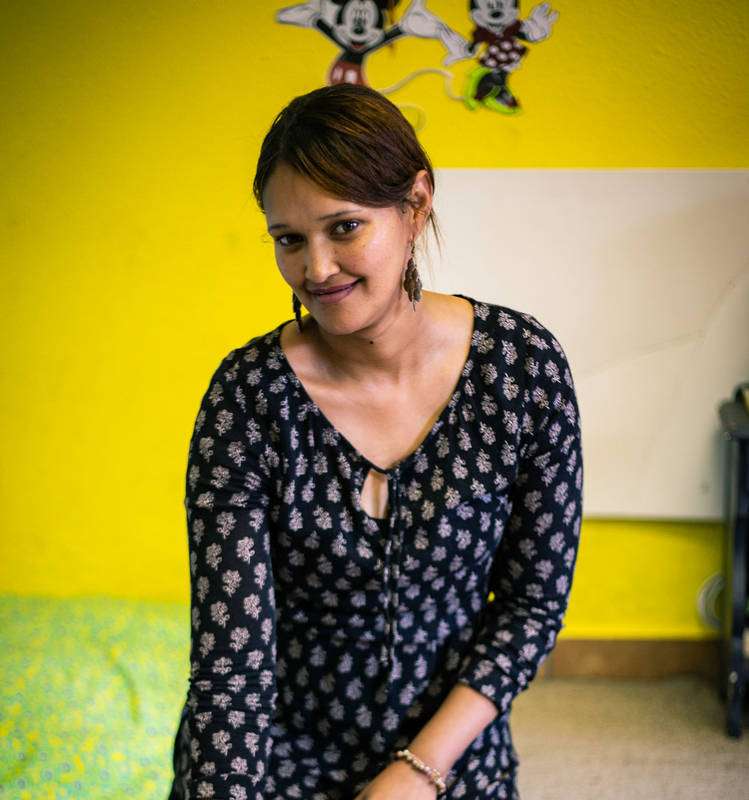 A year later, Nathalie joined Badisa, a social welfare organisation in the Western Cape, as a social worker. She spent six months there before accepting a job offer as a probation officer based at Pollsmoor Prison for the Department of Social Development. She remained in the public sector until 2013, during which time she won various awards from the Department ranging from Newcomer Showing the Greatest Potential Award in 2003 to the Merit Award for Excellent Social Work Services in 2013. In March 2013, she joined the Johann and Gaynor Rupert Foundation in Stellenbosch as the Johann Rupert Bursary Fund Coordinator. Now that she has joined Bergzicht Training, she will continue her work with youth, this time implementing a mentoring programme, amongst others, that forms part of Bergzicht Training’s innovative new strategic framework called Vision 2021. She also assists Bergzicht Training with conducting selection interviews for the iPOWER (Self-Empowering) Foundation Programme and the advanced programmes which include the Edu Care, Health and Frail Care and the accredited Cathsseta Food Preparation Assistant and Food and Beverage Service Assistant. On top of this, she is responsible for facilitating the iPOWER learning sections focused on social well-being and work readiness, which focuses on CV and interview skills amongst others. Her other duties include liaising with employers who may be interested in employing graduates, assisting the graduates with job searches and keeping an accurate record of placement statistics for the organisation. Her social work skills and experience have benefitted her and the beneficiaries she works with tremendously. She not only offers them emotional support, but the network she built up as a social worker has helped her to easily refer beneficiaries in need to support services outside Bergzicht Training. And if that is not enough, she also mentors beneficiaries. “My ultimate goal is to get our beneficiaries employable at the end of their programme and to help them to become aware of their strengths. I don’t want them to see Bergzicht Training as the hero in their story, but rather realise that the resilience they have built during the study process has only been facilitated by us. The rest was all them,” says Nathalie.